Jewelry Retailers, Wholesales, and Manufacturers of any size. 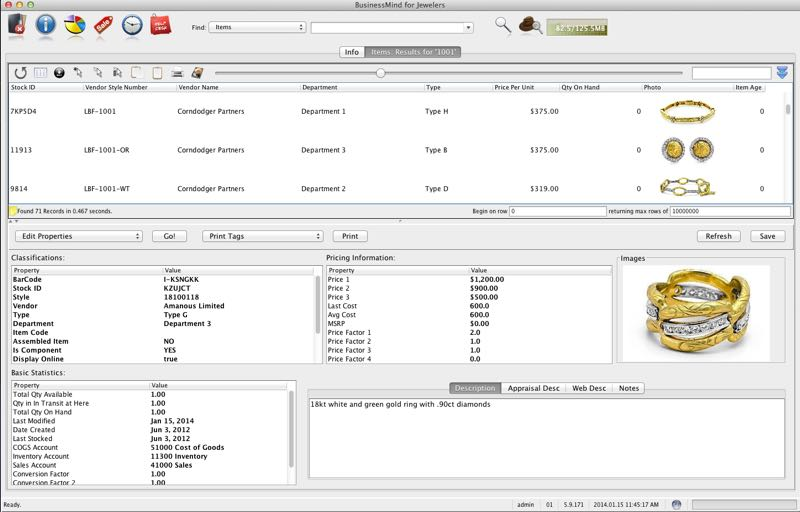 BusinessMind for Jewelers is a modern software application for managing jewelry business operations. It was first released in 1994 and has been under continued development by DCIT Corporation for the last 20 years. Pros: Has both retail and wholesale management tools. Cons: The owner does not understand customer service. They charge exorbitant amounts for custom programing of common items that should be user defined. They nickel and dime at every juncture. They do updates that remove features and then charge to put them back. The service techs are good guys, but hamstrung by a greedy and unpleasant owner. Overall: Have been using it for several years. Too disruptive to change, but deeply regret going with them to start.